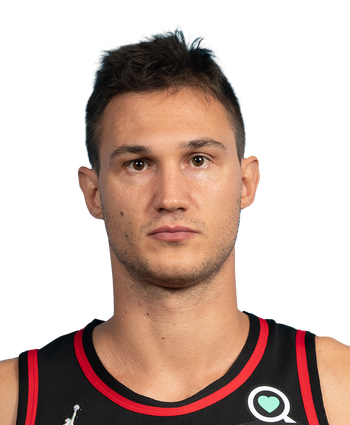 Gallinari registered 15 points (4-14 FG, 3-6 3Pt, 4-4 FT), eight rebounds, three steals, and one assist in 30 minutes during Saturday's 121-104 Game 1 loss to the Warriors. Gallinari was held in check offensively, but he salvaged his stat line by providing solid returns in the rebounding and steal departments. Still, the team's go-to option in the starting lineup will need to find a way to score a lot more efficiently than this if the Clippers are going to threaten the Warriors here in round one. Gallinari finished with 13 points (5-11 FG, 0-1 3Pt, 3-4 FT), five assists, four rebounds, and one steal in 25 minutes during Wednesday's 143-137 victory over the Jazz. Gallinari returned after missing just one game with an ankle concern but managed just 13 points in 25 minutes. His low playing time was likely by design and the fact he was out there for the regular-season finale certainly bodes well for him heading into the playoffs. 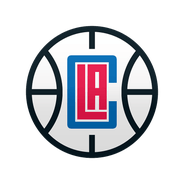 The Clippers must now face the Warriors in the first round of the playoffs and Gallinari is going to have to be at his absolute best if the Clippers are to even challenge. Gallinari (ankle) is listed as available for Wednesday's game against the Jazz, Tomer Azarly of ClutchPoints.com reports. Gallinari has been upgraded from probable for the season finale Wednesday. In 67 games this year, the Italian forward's averaging a career-best 19.9 points, 6.2 rebounds, 2.6 assists and 2.4 threes in 30.4 minutes per game. Gallinari (ankle) is officially listed as probable for Wednesday's game against the Jazz, Jovan Buha of The Athletic reports. There's been some back-and-forth regarding Gallinari's status, but the veteran is likely to take the court during the regular-season finale. More information may be available following morning shootaround. Correcting a previous update, Gallinari (ankle) will play Wednesday against Utah, Andrew Greif of the Los Angeles Times reports. Gallinari will make his return to the court after missing one contest due to an ankle injury. The Clippers currently sit with the same record as the Spurs, so they'll need to come away with a victory Wednesday night to have a chance to jump up to the No. 7 spot in the Western Conference.